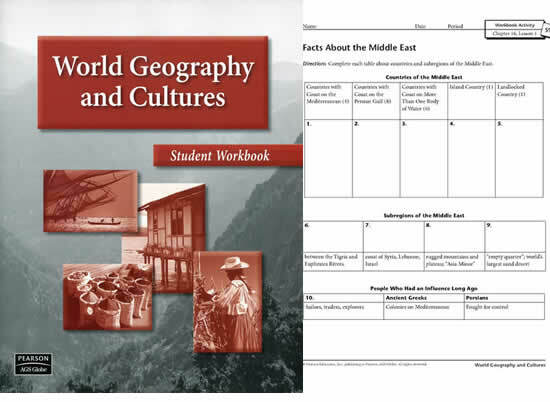 This revised textbook program offers a unique, integrated approach to world geography. 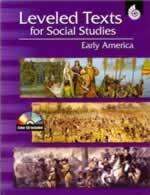 The high-interest, easy-reading lessons help students explore the diverse people, environments, cultures, politics and economies of the world. 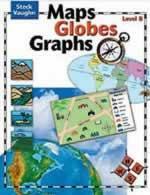 Table of Contents: The World, The United States and Canada, Latin America, Europe: North, West, and South, Eastern Europe and Russia, Africa, The Middle East and Central Asia, South Asia, Southeast and East Asia, and The Pacific World. 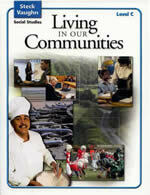 The Student Workbook provides practice exercises to extend and reinforce textbook concepts.